Today's migration figures show that long term international migration to the UK remains at historically high levels. Even for those who, like most mainstream economists, think that the evidence is pretty strong that immigration generally has a positive impact on the UK economy, it is reasonable to ask what the impact of the resulting rapid demographic change will be on public services; in particular education, where the impact is likely to be the most immediate. Two thirds of babies born in London have at least one foreign parent, as the Telegraph reported, while nearly 17% of primary school pupils do not have English as their mother tongue, rising to over half in Inner London. In a recent report for the Migration Advisory Committee, researchers from NIESR looked at precisely this question. Our headline finding was that "non-European economic and student migrants impose costs on UK public services that are small both relative to the total cost of these services and to the share of these groups in the population as a whole." This in itself is not surprising, but what I found particularly interesting was what our review of the evidence suggests about the impact on the overall quality of state education, especially for those who are not of immigrant origin. [Updated 22/2 at 8pm with new analysis and chart from Inclusion]. 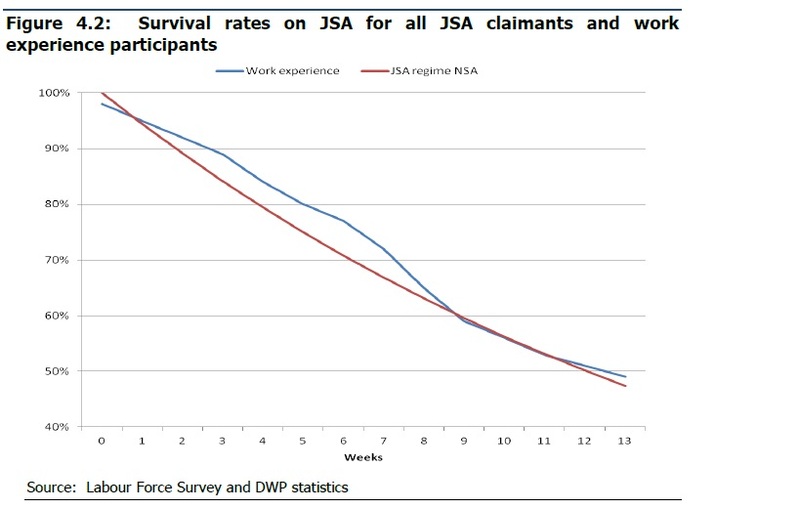 The amount of political "heat" surrounding the government's Work Experience programme seems to be in inverse proportion to the amount of policy "light". Critics describe it as akin to "slavery", while the Secretary of State retorts by describing them as "modern day Luddites". Not only is this exchange of insults neither sensible nor constructive, it obscures the more interesting and important issues. Yesterday I wrote about Moody's decision to put the UK's credit rating on "negative outlook" - and why we should pay no attention at all. What we should be worrying about is today's unemployment figures; but unfortunately there is no sign that concern will translate into meaningful action. What the figures showed was not only a further rise in unemployment, but that it is becoming entrenched. 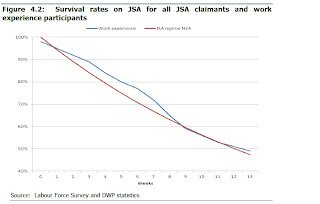 Jobseekers' Allowance is supposed to be, and until recently largely was, a short-term benefit for those who should be able to find work quickly. But the number claiming for more than a year has been shooting up, and is now well over 300,000; up more than a third over the last year. The number of young people claiming for more than a year has doubled. The reaction of politicians to Moody's decision to put the UK's AAA rating on "negative outlook" was predictable - and predictably tendentious. The Chancellor described it as "proof that, in the current global situation, Britain cannot waver from dealing with its debts" while the Shadow Chancellor said it was a "significant warning." They are both wrong. It proves nothing and signifies less. The misdeeds and incompetence of the credit ratings agencies in the run-up to the financial crisis has been well documented. What is less well understood is that when it comes to rating sovereign debt, they simply do not know what they are talking about; worse than that, they do not even understand what their own credit ratings mean. Our latest forecast is published today: here are the highlights. a commentary on the Independent Commission on Banking's final report and the government response; Angus suggests a radically different response. and a set of articles on policy evaluation, to be discussed at a seminar at NIESR on 20 February. All available here.